Newt Gingrich, Trump surrogate, serial philanderer, disgraced former Speaker of the House, according to press reports is being considered for Secretary of State. The public should know that alarmingly Gingrich as recently as last summer called for reestablishing the House Un-American Activities Committee (HUAC). He claims a new HUAC needed to target “radical Islam.” He wants to have laws passed to revoke the citizenship of anyone declared to be connected to ISIS. He disingenuously refers to President Franklin Roosevelt in pointing out that the first HUAC was supposedly targeted at Nazi sympathizers. 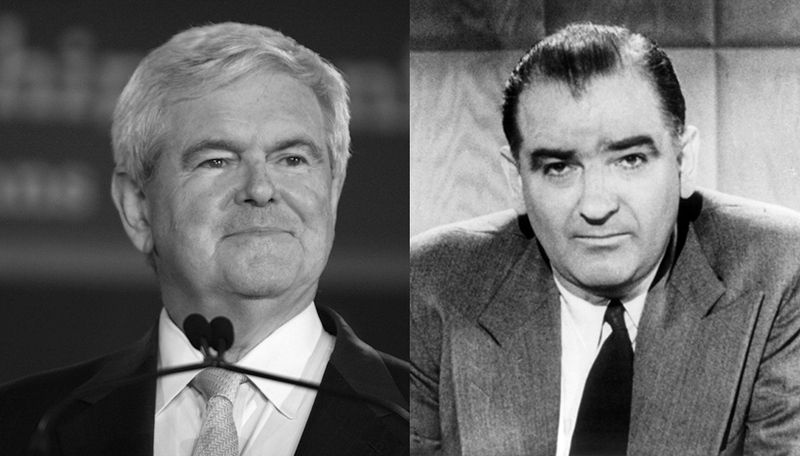 First, Gingrich glosses over several points of historical fact – HUAC was instituted by right-wing members of Congress, who used the excuse of the threat of Nazism to set up a witch-hunt committee with the power to go after anyone designated by their right-wing fantasies as enemies. From the start, HUAC was used to target left-wing activists, especially our party. HUAC was never in reality directed at Nazi sympathizers. From the start, it was used to target left-wing activists, especially our Party, the Communist Party USA. Throughout the 1940s, 1950s and into the 1960s, HUAC hearings were used to target, punish, demonize, and ostracize labor, civil rights fighters, artists, and actors, such as Pete Seeger, W. E. B. 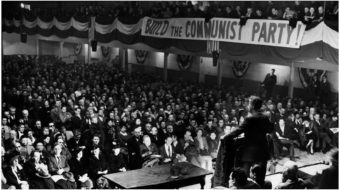 Du Bois, Paul Robeson, and many, many leaders of the CPUSA. People, who had engaged in nothing more than signing a peace petition or expressing a left-wing political position in public were targeted and lost jobs and families. Many were forced to move in order to make a living. 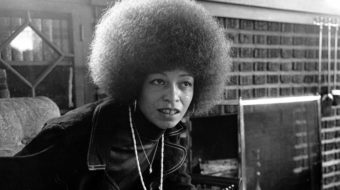 Part of the coming period, following the election of Trump, is to place the fight for full and equal democracy at the center of our struggles. This means defeating Republican attempts to restrict the franchise, to eliminate or restrict early voting, to make it more difficult to register, to require unnecessary identification to exercise our constitutional right to vote, to eliminate polling places, and even their immediate efforts to ridicule and restrict anti-Trump demonstrators. HUAC was used to prevent people from being active citizens. HUAC used phony excuses to “investigate” completely legal activities by U.S. citizens: their investigations provided the impetus for many kinds of persecution against freedom of thought, freedom of assembly, freedom from unlawful persecution, freedom from unreasonable search and seizure, indeed, on the freedom to be an active citizen. Many years of struggle, in the streets, in the legal system up to and including the Supreme Court, and in the court of public opinion resulted in the elimination of HUAC and a similar Senate committee and many other vicious institutions of McCarthyism and anti-communist hysteria. When Gingrich claimed, falsely, that it was a good idea and, falsely, implied that Roosevelt instituted it, he is justifying persecution of U. S. citizens for the “crime” of thinking. His glossing over of a shameful period of U.S. history is of a piece with the rest of the policies he advocates, using inaccurate history and political spin to advocate profoundly anti-democratic actions. Democracy in the U.S., limited though it may be, is still a crucial part of keeping public space for debate and struggle. 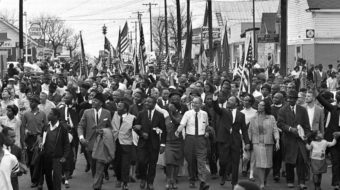 Protecting our Constitutional rights is part of the battle to protect our right to protest, to petition for redress of our grievances, and to functions as full-fledged citizens.